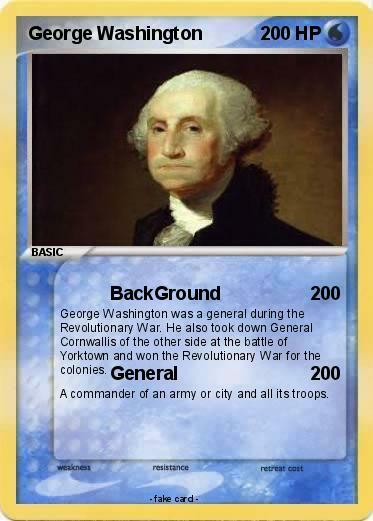 George Washington was a general during the Revolutionary War. He also took down General Cornwallis of the other side at the battle of Yorktown and won the Revolutionary War for the colonies. A commander of an army or city and all its troops.